Drill to suit your boss. 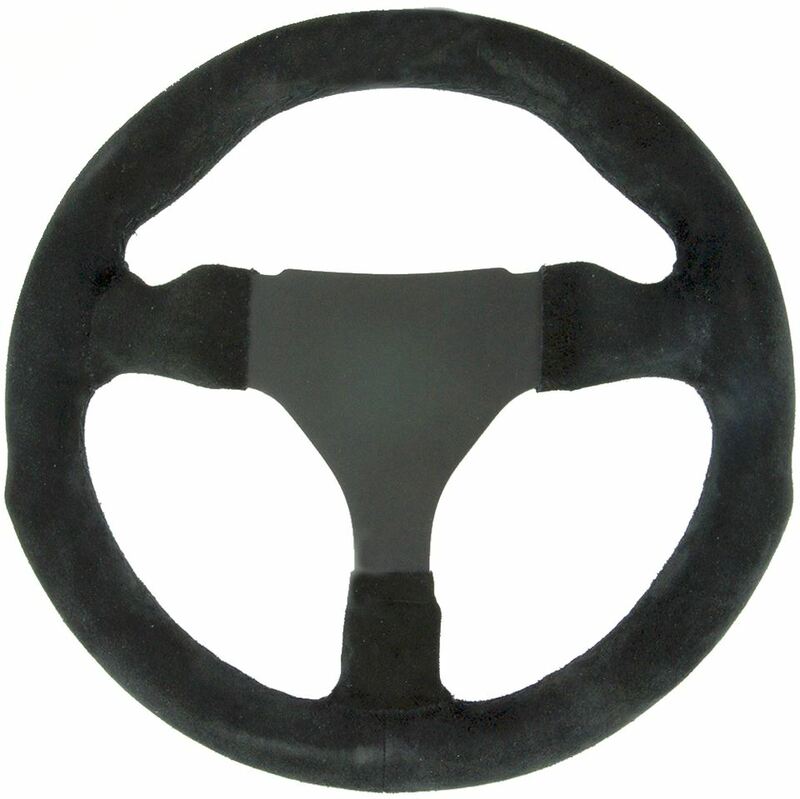 The beautiful Italian made Steering wheel is the best quality you will find at a great price. Black anodised aluminium frame 4mm thick. 1/2" dished from the centre of the rim. Boss or adapter not included. Weight 760 gms. Six M5 x 15mm stainless button head fixing screws on a 70mm PCD. Wheel mounting has 6 x 5.5mm holes on a 101mm (4") PCD. Boss mounting has 3 x 6.2mm holes on a 45mm PCD and 3 x 5mm holes on a 50mm PCD. Centre hole 88mm. 6 x 6mm boss mounting holes on a 101mm (4") PCD. 21mm diameter splined shaft fitting. Two sets of 6 holes for steering wheel mounting @ 70mm PCD (Momo) and 74mm PCD (Nardi). Tapered hexagon shaft fitting starting at 17mm across the flats. Spline diameter 15mm. 6 x 6.2mm diameter holes @ 101mm PCD. Rubber sleeve supplied allows fitting to wheel rims up to 35mm diameter. Wheel rims below 32mm diameter may require additional rubber packing. Hexagonal shaft adapter (I.D. 19mm) is welded to the top of your steering column. Stretches over a standard rim 14" or 15" wheel. Six 5.5mm countersunk holes on 70mm PCD. 56mm centre hole. Six 5.5mm countersunk holes on 70mm PCD. Six 6mm holes on 101mm (4") PCD. Six, 6mm holes on 70mm PCD. To suit steering wheels and hubs with 6 hole, 70mm PCD. Six, 5mm boss mounting holes on a 70mm PCD. Six M5 tapped holes for steering wheel mounting @ 70mm PCD and six @ 73mm PCD.